The relationship of best friends are always valuable among others. Friends have to walk within a very long way in life. It’s true that we usually have only a few really good friends to live by all life. When one of our such kind of close friend going to marry and start a new life then we have a chance to take a part with his/her enjoyment of happy wedding. 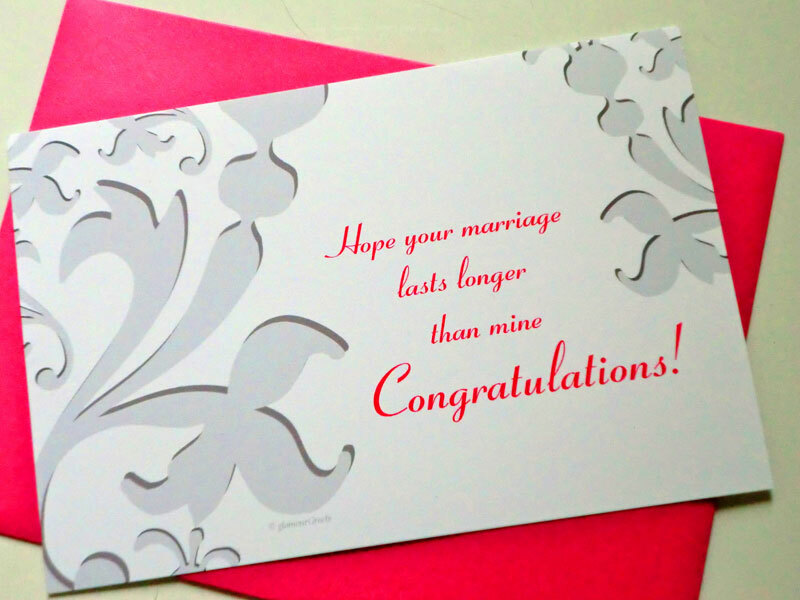 To congratulate your friend on getting married here we brought to you some Happy Wedding Wishes For Friend and some best greeting message for wedding congratulations card. 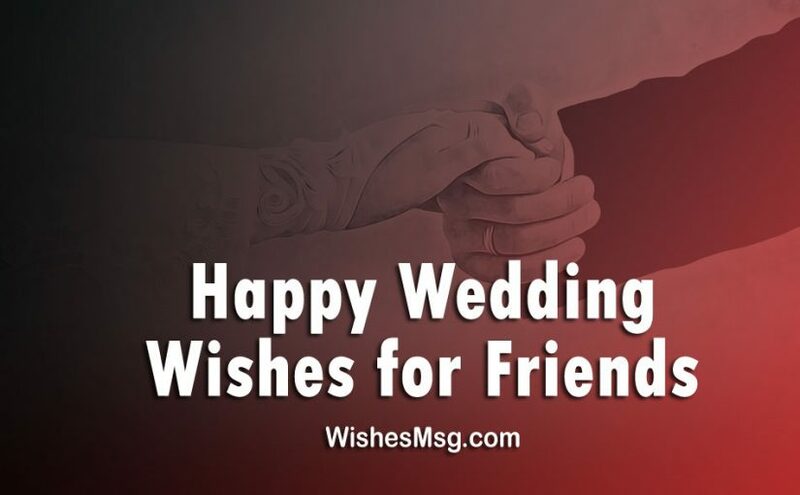 Take a look through our compilation of wedding wishes for friend to shower your friend by happy wishes on the happy moment of his/her wedding. Best wishes for happy married life, I wish you live life so happily with your partner and also wishing your rest of the life be like this day. Today is a special day for all of us, because your happiness means a lot to us. 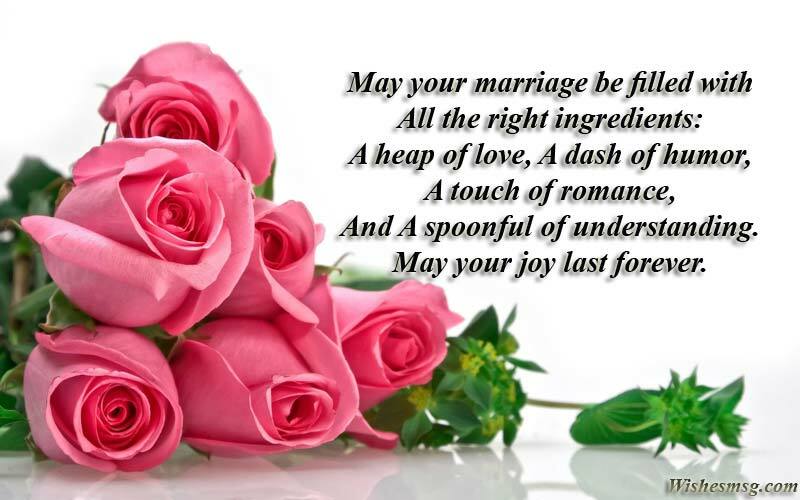 Wish you and your sweetheart to have the most amazing years of your life together and prove that true love exists. Congratulations to the latest addition in the world of married couples. Have an amazing journey. Two people, two hearts and two souls meet, to make the union called marriage a celebration of everlasting love and understanding. Have a happy marriage friend! Marriages are made in heaven and performed on Earth so that I could be a witness to this great event in the lives of two of my greatest friends. Here’s to a wonderful life together and a great wedding day. Cheers! As you are entering a golden bond, That is so filled with love and strong, Would like to wish you all the happiness Congrats on your wedding day! I wish that you stay blessed with all the love, All the care, Lots of happiness and a bond of a lifetime, Congrats on your wedding! Joy and happiness is waiting for you both. May your relation fulfill all of your hearty desires and you feel happiness together always. Happy Wedding Day! Wishing you a glorious ceremony with zillions of wonderful memories! My best wishes for you and your new life partner. Wedding – one of the biggest expense of your life which marks the beginning of many more expenses including shopping, gifts, day care, schooling for children and possibly even alimony. Good luck to you. 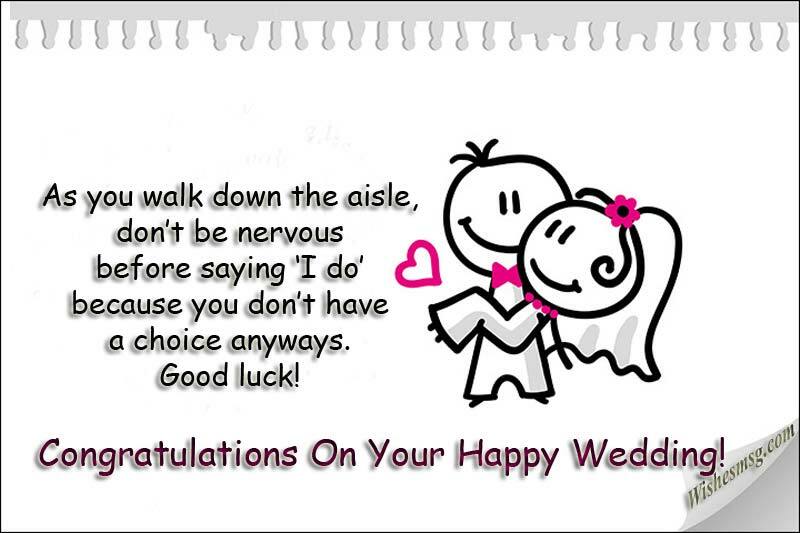 As you walk down the aisle, don’t be nervous before saying ‘I do’ because you don’t have a choice anyways. Good luck! Love is the sun that initiates emergence of the flower of marriage; soon the lovebirds will draw swords of never-ending war. Love anyway. Best Wishes. Your wife complements you perfectly. She shadows all your flaws and accentuates your qualities. Now we know why you decided to get married. Congratulations. Leaving freely and happily without any life commitment is the first sacrifice made by anyone getting ready to marry. Warm up for the greater is yet to come. Best Wishes. 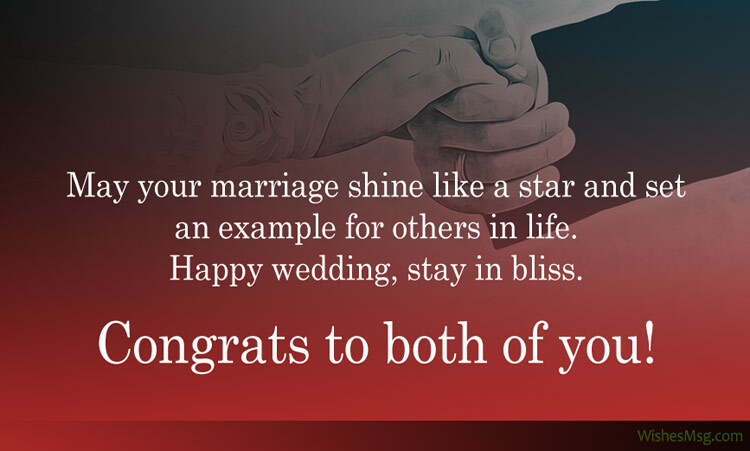 We wish that you have find your search here for the best happy wedding wishes for friend and messages to wish a very happy wedding celebration and happy life ahead.